Heavenly Waterfalls Gardens is truly one of the most remarkable locations on this earth. When a person is down at the area where the two rivers converge there is a feeling that you are at a divine spot. There are planted endangered species trees in an ongoing battle with the cattle to protect them. 97% of the Dry Forest of Costa Rica have been destroyed by slash and burn attacks on the environment which have been required by banking interests in order to promote cattle production. What makes the property unique is that there is a local caretaker who watches over and protects the property. Therefore any investment is already protected by a team of people who will continue to watch over the land 365 days a year. Investment in nature through this property would provide you, your family, and future generations an absolutely one of a kind vacation spot and a environmental cause forever. There is plenty of room to begin an sustainable community and plenty of water resources. The property is conveniently located just off (about a quarter mile) one of the major maintained roads between Santiago de Puriscal and Parrita in the Canton of Puriscal. 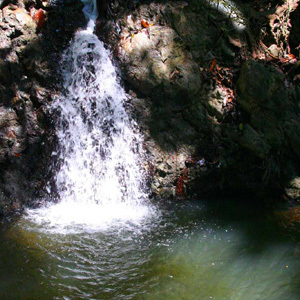 It is only 25 minutes from the major well maintained north south highway between the very popular tourist destinations of Quepos and Jaco. 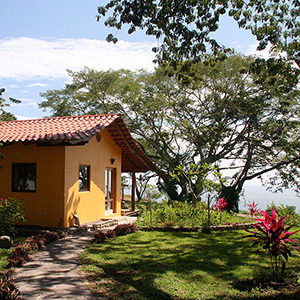 The nearest major city is the agricultural center of Parrita.